Sripathi Panditaradhyula Balasubrahmanyam was born on June 4, 1946 in Konetammapeta in the Nellore district of the state of Andhra Pradesh. He is the second son in a family of three sons and five daughters. His father S.P.Sambamurthy was a well-known exponent of Harikatha. Interested in music from early on, SPB pursued it with passion. 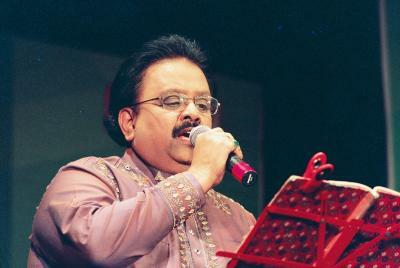 Even during his college days as an engineering student, SPB regularly participated in singing competitions. In 1964, SPB won the first prize in a music competition for amateur singers organised by the Madras-based Telugu Cultural Organisation, and earned his first opportunity from music director SP Kodandapani. From then on, SPB has carried on with undiminished enthusiasm not only as a singer but also as actor, dubbing artist, music director and producer, delighting his fans in all his avatars.